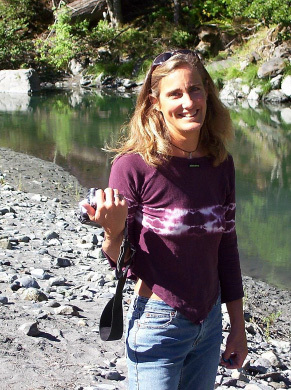 The Environmental Education Coalition’s scholarship is dedicated to Darcy Lynn Aston who passed away in September 2014 at age 55, after a valiant battle with pancreatic cancer. It is no exaggeration to say that Darcy was a force of nature. Her passion for conserving our earth’s resources came through in her personal, professional and community life. She leaves behind a lasting legacy of environmental protection and water resource conservation. Darcy grew up in Walnut Creek as a young, dedicated environmentalist. She followed her heart and head, earning her degree in Environmental Studies at UCSB, followed by several years as a naturalist at Sequoia National Park in the Sierra Nevada. At the Isla Vista Recreation and Park District, the Goleta Water District, and subsequently the County of Santa Barbara, she worked on water conservation and Project Clean Water programs. Darcy led community outreach on pollution prevention, developed classroom curricula on the water cycle, led watershed and creek restoration efforts, and developed educational signage for Santa Barbara local beaches. She created Creek Week, the Sustainable Landscaping Fair, the Sustainable Garden in Santa Maria, and the widely respected and replicated Green Gardener program, which promotes resource efficient and pollution prevention landscape maintenance practices. Her contribution to the Santa Barbara community was significant. After moving to Petaluma in 2005 she worked with FishNet 4C, a multi-county collaborative to restore habitat for anadromous fish (Coho and Steelhead), and then for Napa Sanitation District as the Community Outreach Program Manager. At Napa Sanitation District she not only continued to educate the local community in engaging and informative ways about water quality and conservation, but actively participated in Bay Area and regional water-related organizations. She served as the chair and co-chair of the Environmental Education Coalition of Napa County for three years. She was passionate about her career in water resources and watershed management and gained admiration and respect from her colleagues along the way. Darcy loved to travel the world, backpack in the Sierra Nevada and play in the Pacific Ocean; she loved to garden, cook and craft. She wrote beautifully--her heartfelt and witty stories and vividly entertaining vignettes on any number of topics are legendary. Darcy loved planet earth and she loved her life. It was a life full of interesting and adventurous people, beautiful places and big ideas. It was a life full of fun, family and devoted friendships. In addition to being smart, energetic and practical, she was incredibly authentic, generous, sensitive, and funny—characteristics that earned her many friends of every age. There can be no doubt that she lived large and she lived well. 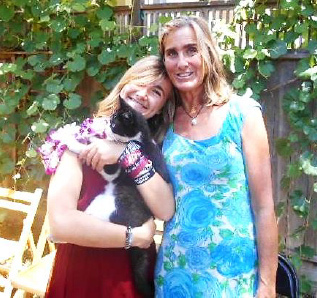 The Environmental Education Coalition of Napa County can’t think of a better way to honor Darcy’s memory than a scholarship to encourage young people to engage in the protection of our wonderful and precious Earth.